+0 Story: There's no story to speak of, if you're just going by what's presented in the game, but the instruction manual's "stop mad scientist from taking over the world" plot is perfectly adequate for a platformer from this era. Either way, do you really need an excuse to go blow up robots? +0 Graphics: While certainly above average as far as games of the time period go, simple backgrounds and enemy designs with a basic amount of detail make for less of a visual feast than later installments. +1 Music: These tunes set the standard of hummable, high-energy music with a good beat, but the relatively rough sound quality and short loops on some of the tracks serve as a reminder that this is still an early NES game. +2 Sound Effects: Mega Man introduces a host of distinctive sound effects that will become staples of the series, and the sounds the special weapons make are particularly fun and satisfying. +0 Control: Mega Man's a little slippery when coming to a complete stop, and it's a little obnoxious that you can't pause while one of your projectiles is still on the screen. Otherwise, the precision in this game is downright impressive compared with its contemporaries (and, indeed, compared to most any other platformer since). +2 Stages: There's a great balance of enemy-based challenges, environmental hazards, tricky platforms, and even a puzzle or two. A vertical level (Elec Man) and an autoscrolling level (Wily 3) add more creativity to the mix. Pattern recognition plays a large role in survival (the moving platforms in Guts Man's stage, those sneaky disappearing bricks, etc. ), but even after cracking a pattern, there's still some serious skill required. The game is demanding, but fair—checkpoints are well placed, power-ups are sparse but sufficient, and there's always at least one weapon or technique that makes each challenge easier to surmount (hence why I'm not knocking off a whole point for those dastardly Foot Holders). I'm normally critical of games with a lack of variety in the challenges, but the repetition in MM1 provides a learning curve that facilitates pattern recognition—you can't bumble your way through waves of Watchers or platoons of Pengs; you have to earn the right to reach the next screen by learning how to outwit and outgun your foes. The challenges are elegantly simple and wholly deliberate, and that is a beautiful thing. +2 Bosses: No need to go crazy in the first installment—straightforward Robot Master concepts make it that much easier to grasp the rock-paper-scissors style of combat: rock (Guts Man) beats scissors (Cut Man); scissors cut wires (Elec Man); etc. Robot masters tend to share similar color schemes, and most of their designs boil down to "regular dude with something funny on his head," but the simplicity is endearing. Attack patterns are varied, the projectiles they fire are pretty neat-lookin', and their animations really give a sense of personality—Guts Man's burly chuckle, Ice Man's "let's DO this!" air punch, Elec Man's emotive arms channeling and releasing electricity, and so on. Elec Man's kind of a bully, though; despite the exploit where you can lock him into an easy-to-beat pattern, his damage values are completely out of balance. The fortress bosses represent a wide and creative range: the Yellow Devil is a sort of puzzle boss requiring straight-up pattern recognition; Copy Mega Man is a brilliant mirror match (and the surprise of the intro to that battle is very memorable); CWU-01P is one of the rare Classic bosses that gets steadily more difficult as the battle goes on (with the Guts Blocks adding an element of resource management); and Wily's massive machine and surprise second form set the standard for the series—and surviving the tricky projectiles is a great test of the pattern-recognition skills the player has developed. +2 Special Weapons: With low energy consumption and a good variety of attack patterns and abilities, this lineup of weapons is one of the most practical in the series. Freezing enemies with Ice Slasher is invaluable against flame pillars, Big Eyes, and Sniper Joes; Super Arm and Thunder Beam have the dual usefulness of clearing paths through a level and attacking foes in a spread pattern, and the latter weapon is devastating; Rolling Cutter tears through enemies and adds a little bit of vertical range with its boomerang action; Fire Storm is just as useful for its fire shield as its projectiles; and Hyper Bomb is...okay, so I guess 5 out of 6 ain't bad. +2 Ending: Against a backdrop of some of the best scenery in the game (complete with lovely sunset! ), Mega Man's victory march not only looks neat, but develops the game universe a little more with a bit of narration and by introducing us to Roll, Dr. Light, Mega Man without his armor, and their home outside the city. After the intensity of the rest of the game, this ending serves as an uplifting cooldown for both the hero and the player. -1 Replay Value: Due to Elec Man's massive damage output, it's foolhardy for all but the most experienced players to visit his stage without the Rolling Cutter—and beyond that, the critical Magnet Beam item can only be acquired from his stage if you've got the Super Arm, or are revisiting the stage with Thunder Beam. That pretty much guarantees you'll want to beat Cut Man and Guts Man before Elec Man...which means you're probably saving Ice Man's stage for later in the rotation, because it's show-stoppingly difficult if you haven't cleared Elec Man's stage first. Especially with only six Robot Masters instead of the yet-to-be-established standard of eight, there's really not too much choice about boss order here if you're anything less than superhuman. -1 Polish: The Foot Holders in Ice Man's stage and Wily 1 are notoriously glitchy, sending countless gamers to countless unfair deaths over the decades. Considerably less egregious is a noticeable amount of sprite flicker, which is more an aesthetic issue than anything. There are also a few situations where falling physics work against the player unnecessarily, causing them to instantly plummet at maximum speed, and/or preventing them from swinging themselves into a nook (usually laden with power-ups) along the wall they're falling past. +1 Extras/Easter Eggs: Pressing SELECT to pause the action without obscuring your view with the menu screen is a nice touch...but the pause/resume glitch is even better, allowing you to pile extra damage on an enemy already in the path of your projectiles. Call it cheating if you will, but it's the only way some of us were ever able to beat the game. +2 Novelty: As this is the first game in the series and everything is new, I'm willing to give maximum points here. +0 Story: The intro cutscene is a welcome addition, but it's essentially the same "stop Wily from taking over the world" story as before, which is totally average for the series. +1 Graphics: Backgrounds and enemy designs are more detailed this time around, giving a better sense of location and character. Wily's transformation sequence is cool, and the explosions in this game ROCK. +2 Music: While I wouldn't say the soundtrack is perfect—Crash Man's theme feels out of place compared with the other tunes, and there's still that rough sound quality to be expected from early NES games—the strong melodies and energetic percussion of these tunes remain a benchmark for the series. It should say something that people who've never played Mega Man can hum the Wily 1-2 theme, and that numerous sequels have used this game's end credits music for their end credits. The icing on the cake is the audio continuity with the original Mega Man, whose ending theme is used as part of the intro theme for this game. Classy. +2 Sound Effects: The sound of Quick Man's lasers is fun and distinctive, I love the little "PEW! PEW!" of the Shotman enemies in Flash Man's stage, and the explosions in this game ROCK. +1 Control: Definitely a refinement over its predecessor, but you still can't pause while one of your fired weapons is on the screen. The password screen is a little strange to access, and I've accidentally wasted more than one E-Tank fumbling around on the menu screen. +2 Stages: There's a wonderful variety of land, air, and sea challenges, with numerous puzzles and enemies of every shape and size. 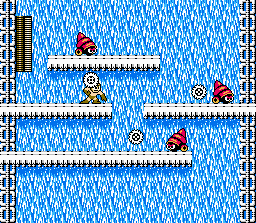 I appreciate how the Wily stages build off of the challenges in the robot master stages; the moving platforms in Crash Man's stage, for example, are just a warmup for something deadlier later on. Consolidating the robot master rematches and allowing you to choose the order in which you fight them adds an element of strategy to the boss rush. +1 Bosses: With a mix of silly bosses (an overgrown Zippo lighter, a lumbering robot tree, a giant fan with eyeballs, and a fish-man who shoots bubbles), bosses who are cool because of stuff pasted to their foreheads (Metal Man, Quick Man), and normal-looking bosses with weapons for hands (Flash Man, Crash Man), MM2 does a good job of keeping the boss lineup fun and interesting. 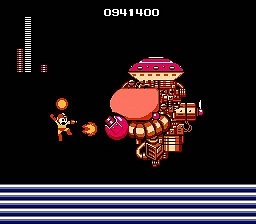 Boss vulnerabilities are all over the place, though—Flash Man takes a good amount of damage from pretty much everything, whereas Crash Man is destroyed almost instantly by Air Shooter and is impervious to basically everything else; I don't mind the inconsistencies where the weaknesses are logical (a huge fireball should make short work of Wood Man), but some of them seem completely arbitrary. On a completely subjective level, Flash Man has always been one of my favorites—controls time, groovy blaster, neat helmet, all flashy and stuff—but I've never really enjoyed fighting Quick Man (all of my strategies are inelegant and have me on the defensive the whole time), and I just don't get excited about Wood Man the way other people do. As for the fortress bosses, the Mecha Dragon is an iconic shock with a lead-in that defies series conventions, though the battle's over a little too quickly once you get into firing position with Quick Boomerang; Picopico-kun keeps you on your toes as a sort of spiritual successor to CWU-01P; Guts Tank is another battle that's over too quickly, but that first glimpse of an oversized Guts Man rolling toward you is a memorable surprise; Boobeam Trap is conceptually very clever but aggravating in practice, as much for the showstopping sprite flicker as for the ramifications of running out of weapon energy; Wily Machine 2 looks cool but fires outrageously unavoidable projectiles (and its secret weakness of Crash Bomber is of no help unless you've gotten a Game Over and refilled your weapon energy since the Boobeam Trap); and the Alien, which also looks cool, has a pattern that's somewhat dull after you crack it. Lots of great ideas; lots of execution flaws. +2 Special Weapons: There's a weapon for practically every situation, and whatever some weapons may lack in universal usefulness, they make up for in style. Time Stopper freezes enemies that are too risky or downright impossible to engage in combat; Leaf Shield provides constant protection against smaller enemies, and is great for grinding for power-ups; Air Shooter spreads out to reach enemies above you; Bubble Lead traces the ground to reach enemies below you and reveal fake floors; it's a hoot to unleash a continuous storm of Quick Boomerangs on an unsuspecting enemy, even though most other weapons are usually better suited to the task; Atomic Fire is a liability except when used strategically, but it's fun to charge up and release; Crash Bomber isn't much help outside of boss battles, but it opens new passageways; and Metal Blade's near-unlimited energy supply and multidirectionality render the Plasma Blaster (and most other weapons) all but obsolete. +2 Items/Upgrades/Support Utilities: E-Tanks. 'Nuff said. Item-1 and Item-2 are just as useful as the Magnet Beam, but different enough to keep the support utility idea fresh; Item-3 never quite gets the love it deserves, but watching it bounce around and climb up walls is too cute to pass up. +1 Ending: It's revealed that Wily is, in fact, not an alien, and we see his super-neat hologram generator sputter and fail. Wily grovels; presumably he's thrown in jail? That loose end has always bugged me. Mega Man walks home again, but this time it's a little more pensive...and frankly, after all the excitement of the rest of the game, a little too slow for my taste. It's not a bad ending, but there's no transition between WHOA FINAL BOSS BATTLE and peacefully sauntering home with gentle music. The music lacks a strong percussion line to give it a sense of motion, and it favors drawn-out notes that are done no favors by the relatively rough sound quality. I do like the changing of the seasons and the scene of the lush countryside at the end, with the implication that Mega Man's thrown off his helmet and run off to play in the cornfields or something. When the credits roll, the music gets kicked into iconic overdrive, but getting to that point feels like a bit of a slog to me. +1 Replay Value: With enough practice, most of the bosses can be conquered in any order; some stages are considerably more difficult if you're not properly equipped, but E-Tanks go a long way toward making the boss fights more manageable. There's a handful of alternate routes (most notably through Flash Man's stage and Wily 2), though you still get to see what the path you're not taking looks like. The puzzle sections, while adding to the fun and challenge factor, actually take away from the replay value a little bit; once you've figured out what weapon to use on the final boss, for example, you really don't have much choice about how to fight him (assuming you want to live). The availability of two difficulty modes makes up for this somewhat; some enemies gain a special attack in the harder difficulty mode, and your weapons are less effective against the bosses, so it is a sufficiently different experience to try both modes. -2 Polish: You can see a "junk layer" of random level graphics for a split second each time a stage loads, and there are some notable glitches (such as being able to leap ahead to a graphically muddled Wily stage under the right conditions) that can be fun, but still reflect a lack of polish. Sprite flicker has grown from a mild annoyance into a serious problem, specifically during the Boobeam Trap boss fight, where you can't tell when the turrets are flashing and about to fire...because everything is flashing. Also problematic is the loss of all your E-Tanks on a Game Over, but I'm willing to write that off as part of the challenge, and it's nice that your password saves the number of E-Tanks you have. Arguably the biggest issue, however, is what happens if you run out of weapon energy at various points in the castle stages. Don't have enough Item-1 energy to cross the gap in Wily 1? Guess you have to spend an eternity shooting up Returning Sniper Joes for power-ups. Ran out of Crash Bomber for the Boobeam Trap? Even worse. No Bubble Lead for the final boss? You can't even grind for weapon energy; you need to let yourself get smacked around until a Game Over (which might take a considerable amount of time, given how many extra lives you might have at that point), which will refill your weapon energy but also clear out all the E-Tanks you were saving for the fight. Not cool. +1 Extras/Easter Eggs: The secret button combo to replace stars with birds during the stage intros is ridiculous fun, and it's nice to have two difficulty modes. +2 Novelty: MM2 really pulls out all the stops. An intro cutscene, two more robot masters to fight, new weapon types, new utilities, a password system, a nifty intro screen for each of the castle stages, a fake-out "final" stage...the list goes on. -1 Story: Going by the instruction manual, Mega Man 3 has a great story about Dr. Wily's penitent reformation, the collaboration between Wily and Light to build a peacekeeping robot called Gamma, and Mega Man's quest across eight mining worlds to retrieve the materials needed to build Gamma. Going by the game, Mega Man blows up no robots for no reason, and suddenly Wily (sorry--Wiley; the text could use a copyedit) has run off with this "Gamma" thing, whatever that is. Especially after MM2 set a precedent with its intro story sequence, it's inexcusable to include half a plot within the game itself. +1 Graphics: The detail keeps growing with every installment. I'm not as attached to the enemy designs in this one, but everything still looks good, and most of the levels have a logical and consistent visual theme (snakes in Snake Man's stage, sneaking into Wily's hideout via the sewers, etc.). It's a bummer, though, that Needle Man Revisited is the only Doc Robot stage that makes any significant changes to the level backgrounds on the second time through. +2 Sound Effects: From the buzz of the Gemini Laser to the rubbery "whump" of the projectiles from a Cannon enemy, the sound effects in this game are distinctive and just plain fun. +0 Control: As for Mega Man himself, his control is just about perfect. The newly introduced Power Slide is further refined in future installments, but it's still pleasingly easy to pull off here. The clunky menu screen is a problem, though, especially before you've collected all the special weapons; there's a lot of guesswork involved about which direction you need to press to get to the icon you're trying to highlight. And, still, you cannot pause while one of your projectiles is still onscreen...which has worsened from a nuisance to a life-threatening issue (specifically during boss fights), given how slow some of these weapons are. -2 Challenges: I am not a patient gamer, so the preponderance of enemies that have long periods of invulnerability—if you can hit them at all—is infuriating. Hammer Joe, Bolton and Nutton, Bubukan, Bikky, Cannon, Hari Harry, Electric Gabyoall, Needle Press...so many enemies are shielded, and force you to stand around doing nothing until you can bypass or destroy them. Worse yet, the hitboxes of several enemies and bosses are just a little too big, causing some irritatingly unnecessary damage from time to time. There's so much wasted potential in the stages, as well—the Mag Fly enemies in Magnet Man's stage could be used to carry you across huge gaps or drag you into spikes, instead of just messing with you a little bit; three of the four Doc Robot stages aren't so much revamped stages as slightly more difficult encores of the ones you've already beaten; half the Wily stages skimp on challenges and shower you with easy-to-obtain power-ups instead... While each one of the stages provides a decently entertaining challenge on its own, there's not enough variety in the style of challenges across the entire game to keep things fun and interesting for anyone like me. 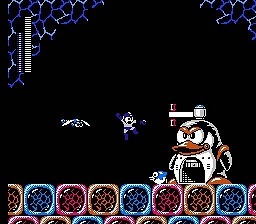 I want to see more challenges like the water section of Gemini Man's stage, the rooms with the spikes and moving platforms in Wily 3, and the Big Snakey miniboss fights with the wiggling floor—diverse challenges that combine several different elements to test your skill. MM3 keeps coming back to shielded enemies and level design that emphasizes long stretches of walls, floors, and ceilings at various heights. It's too much of the same. +0 Bosses: Here's another diverse assortment of baddies of all shapes, sizes, and color schemes, many with unique abilities that go beyond different movement patterns and projectiles—Gemini Man splits in twain, Magnet Man drags you toward him, Top Man goes temporarily invincible (something different, right? ), etc. Fortress bosses are a good mix as well—Kamegoro Maker is more like a regular enemy challenge than a boss; Yellow Devil MK-II is a nice throwback with a few new surprises; the Mega Man clones are a clever puzzle and a tricky challenge; Wily Machine 3 is complex, and almost like a stage hazard with a health bar; and Gamma is the biggest boss yet...but admittedly a pushover, once you know what you're doing. The Doc Robots are a welcome inclusion, and the new weapon selection and Power Slide ability keep the fights fresh, but the bigger size of the Doc Robot frame makes Wood Man in particular practically impossible to dodge, and the vulnerabilities of certain bosses (Hard Knuckle against Crash Man and Gemini Laser against Quick Man!?) seem poorly thought out. Weaknesses are still all over the place, and there's really no rhyme or reason to why household objects such as needles, tops, magnets, and ninjas are vulnerable to any of your weapons. The real problem comes when fighting the bosses without special weapons—whereas many of the bosses in the first two games are susceptible to the regular buster, taking as much as 4 damage from a single hit, the bosses here are practically impervious, taking a measly 1 damage in almost all cases. When you've got brutes like Needle Man and Hard Man who dish out massive damage, wild cards like Shadow Man who are almost predictable, and headaches like Wily Machine 3 that demand overly precise movement and timing to hit (let alone survive), buster-only battles can easily become unpleasant, whether due to unfairness or the sheer tedium of how long it takes to defeat a boss. -1 Special Weapons: Individually, most of the weapons aren't bad. Collectively, it's forward-firing straight-line slow projectile city. Magnet Missile fires in a straight line before making a hard turn and continuing in a straight line. Needle Cannon fires rapidly in a straight line. Shadow Blade fires in a straight line in a few different directions, but with a short range, and with boomerang action that rarely hits anything. Spark Shock fires in a straight line and holds an enemy in place, but because you can't switch weapons or pass through the paralyzed enemy unharmed, you're effectively littering the playing area with more obstacles to avoid. Gemini Laser is powerful and has a lot of potential, but the level design mostly squanders the fun rebound action...oh, and it travels in a slow, straight line. Hard Knuckle fires in a straight line, and you can kinda steer it, but by the time it reaches its target, you've probably missed anyhow. Search Snake is refreshingly different, allowing multiple projectiles to fall to the ground and quickly glide across floors and up walls. Then there's Top Spin, which would be a fantastic weapon if it didn't frequently get you hurt instead—and with few exceptions, anything you could destroy with Top Spin is more quickly and safely dispatched with other weapons. 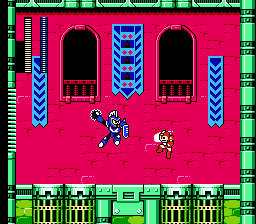 Although every weapon is worth using somewhere, Mega Man is generally at a disadvantage when it comes to attacking anything that isn't directly in front of him—and even Magnet Missile, which theoretically can hit anything anywhere on the screen, gobbles up energy and tends to miss fast-moving targets. +2 Items/Upgrades/Support Utilities: As if the concept of a Swiss Army Dog that transforms into a springboard, submarine, and jet sled weren't enough, Rush is both incredibly helpful and tremendously enjoyable to use. Though Rush Jet in this omnidirectional iteration is by far the most broken (and, therefore, fun) utility in the series, it's still worth using Rush Coil for the joy of bouncing higher than ever before, and it's a blast to maneuver and jump out of the water with Rush Marine. The Mystery Tanks add a small element of randomization to the stages, but they're more of a side note than anything. +2 Ending: Drama! Character development! Plot resolution! Background info on the robot masters from MM1! So much is packed into this ending, and the more introspective music actually fits this time. The music for the credits is a decidedly spicier style than usual, but it's upbeat enough that I don't mind the deviation. +0 Replay Value: A few bosses (Shadow Man being the biggest example) are downright inadvisable to visit first, but thanks to multiple boss weaknesses and a sufficient number of E-Tanks in the initial stages (and an increased limit on the number of E-Tanks you can carry), there aren't too many difficulty restrictions about how to proceed. Unfortunately, this is partly because the special weapons don't have as big an impact on the gameplay as usual; you don't need to switch up your tactics as much when most of your weapons fire in a straight line, and every power-up in the initial eight stages is reachable with your default abilities. Alternate paths are mostly absent from the game, too; there are a few tiny detours for power-ups, but nothing that presents a different set of challenges. Mathematically, there are 967,680 different stage orders you could follow to finish this game (compared with MM2's paltry 40,320 and MM1's pathetic 720); however, the Doc Robot stages play out the same way regardless of which one you pick first, so the seemingly incredible replay value is partially superficial. -2 Polish: Sprite flicker is about as bad as in MM2 (though thankfully not during any critical boss fights), and there's now some considerable slowdown in one or two places. Every once in a while, Mega Man gets stuck for a moment as he transitions from sliding to running, and there's one screen following a Doc Robot fight where it's conceivable (as unlikely as it may be) for Mega Man to be utterly incapable of proceeding if he's run out of Rush Coil and Rush Jet energy, leaving no other option but to reset the game (or bust out the second controller cheat, if you know about it...). Not being able to pause the game while a special weapon is active is now a serious problem, rendering Spark Shock mostly useless and Gemini Laser a liability if you miss. The Wily Wars proves that Top Spin can be a useful weapon, but it's far too glitchy here. With the exception of Needle Man, the Doc Robot stages feel unfinished; both in terms of graphics and gameplay, the transformation into something meaningfully different is inconsistent across these stages (and with the standalone Break Man fight, for that matter). Finally, it's just bad form to omit the part of the story that's necessary for the plot twist to make any sense. MM3 suffered from a rushed development, and it shows. +2 Extras/Easter Eggs: By plugging in a second controller and pressing the correct buttons, you can slow down or even freeze the sprite animations, cause Mega Man to jump preposterously high, and even suspend him somewhere just above the bottom of a bottomless pit...which can lead to a few other interesting glitches, such as running around with no health in your health bar. Playing around with the second controller puts an amusing and even helpful spin on the game. MM3 also has the easiest password system to crack, meaning that attentive players can alter the number of E-Tanks they start with...and honestly, a password that remembers how many E-Tanks you have might as well be considered an extra. +2 Novelty: Break Man / Proto Man, Rush, the power slide, the mystery of the Doc Robot stages, the rematches against bosses from MM2, the big plot twist, the fake-out after the first Wily fight, two colors of dots on the password screen...creativity abounds. +2 Story: It only took us four games, but now we finally know why Mega Man started smashing up all these robots in the first place. An origin story, a new villain to take the place of Dr. Wily after his apparent demise in the last game, and a clever kidnapping plot (with characters that, admittedly, I wish had a little more air time) make for one of the most comprehensive and developed stories in the Classic series...not that that's saying much in the grand scheme of video game storylines, but I'll take what I can get. +2 Graphics: The amount of detail in the backgrounds continues to grow, and though the character models about reached their complexity limit in MM3, it's the animations that really push the graphics score up a notch here. Platforms glowing in rainbow colors, driving rain, falling snow, rampant waterfalls, smoldering junk piles, shifting quicksand, flashing lights galore...previous installments had some stages with dynamic visuals (eg, Flash Man, Spark Man), but MM4 is like that in virtually every stage. Having the background during the stage intros change color depending on the robot master is also a nice touch. +2 Music: The sound quality's not quite as clean as MM3's (I've heard it described as "tinny"), but the melodies, harmonies, and percussion are every bit as complex and energetic as anything in the first three games. I'll drop all pretense of objectivity for a moment and say that this game features my favorite title theme and final stage theme of the entire Classic series, but you can write that off as nostalgia if you have to. Out of fairness, I will say that the dissonant password screen music can get obnoxious quickly. +2 Control: Finally, perfection. Mega Man can move elegantly and stop on a dime, charging the Mega Buster is simple, and you can at last bring up the menu at any time, even when you still have projectiles on the screen. The only issue is that it's not immediately obvious to hold UP to fire the Wire Adapter, but then again, it's not immediately obvious that you can pick up blocks with the Super Arm or have to jump to activate Top Spin, so we won't even go there. +2 Stages: Not only is there a good blend of challenges involving enemy-bashing, precision jumping, quick reflexes, and perfect timing, but now the environments themselves work against Mega Man like never before. Rain and waterfalls hinder Mega Man's jumping and reduce visibility; lights go out, leaving both platforms and pits in darkness; entire sections of level don't show up until a switch is flipped; dense snow slows Mega Man's movement; and so on. Diversity in the enemy designs helps keep the challenges fresh—there's a mix of small, medium, and large enemies; stationary, slow-moving, and normal-speed enemies; wimpy, buff, and shielded enemies; and enemies that deal big damage, persistently chip away at your health with smaller hits, and surprise or distract you enough to let the level kill you off instead, to name but a few. +2 Bosses: Striking a balance between the unconventional variety of MM3 and the more familiar categories of bosses employed by MM2 (with silly bosses including the wiggly rain-dance toad and Sir Lightbulb-for-a-Hat), MM4 offers a little of everything from its Robot Masters. From the bipolar start/stop attacks of Skull Man to the dogged persistence of Dive Man's tracking attacks, there's a good variety of fighting styles amongst them as well. Inconsistencies between boss vulnerabilities have been completely smoothed out, so even if the weaknesses don't make that much sense, at least it's obvious what does and doesn't work. The fortress bosses are some of the largest we've seen yet, and many of them have a specific weak point that necessitates more precise aim than usual. As with the stages, the environment is a major factor in these battles: you need to contend with spikes, a destructible floor, moving platforms, and an entire room that attacks you. Visually, the fortress bosses are perhaps not as memorable as the ones from other games, but they're every bit as challenging and creative. +2 Special Weapons: MM4's weapons are versatile and powerful, offering multiple options for taking down enemies more easily and efficiently than the Mega Buster. Pharaoh Shot is a multidirectional powerhouse with the bonus of destroying enemies above you while charged; Ring Boomerang isn't deflected by shields and can apply plenty of extra damage as it travels through larger and multiple enemies; Dust Crusher's straight line of fire and only-hits-if-you're-lucky shrapnel are forgiven by the sheer damage output of the weapon against many enemies; Skull Barrier negates projectiles and defends you on every side from small, pesky enemies; Dive Missile's a little loopy at times, but it hunts down enemies anywhere on the screen; Drill Bomb opens new passageways, does some quick and meaningful splash damage upon impact, and can be detonated in midair if it looks like you'll just barely miss your target; Rain Flush wipes out virtually everything that isn't you; and Flash Stopper halts all enemies in their tracks, allowing you to shoot them while they're frozen—and unlike MM2's Time Stopper, you don't have to blow all your weapon energy for one use. MM4 revisits several weapon concepts from the last three games (particularly MM2) and transforms them in a fun and meaningful way. +2 Items/Upgrades/Support Utilities: Rush Coil returns, along with a (sadly) jump-less Rush Marine and a more balanced Rush Jet that doesn't completely outclass the other utilities. The Wire Adapter offers a higher-reaching and more precise alternative to Rush Coil (one that can damage enemies and is satisfying to fire). Rounding out the list is the Balloon Adapter, a cute throwback to MM2's Item-1. Essentially, you've got vertical, horizontal, and diagonal movement completely covered, with multiple options to boot. MM3's Mystery Tanks get an upgrade in the form of Flip-Top/Eddie, who, along with Rush, gives a better sense that Mega Man is no longer alone in his quest to save the world...and who acts as the perfect scapegoat when you really need an E-Tank and all you keep getting are those stupid weapon capsules. +2 Ending: Wily escapes through a secret door, the castle explodes (leaving behind a skull-shaped mushroom cloud, which is a nice touch), and Mega Man teleports out at the last minute. In a throwback to MM1, detailed backgrounds scroll by as Mega Man returns home, this time atop a train (with pensive music whose percussion evokes the feeling of riding a train, which is also a nice touch). Colorful changing backgrounds keep the end credits visually interesting, but the music here—a throwback to MM2—lacks some of the punch of the original ending tune. Overall, it's the sense of continuity and attention to detail, rather than the novelty, that makes this ending a good one. +1 Replay Value: With a fair number of branching paths, two optional support utilities, and challenges that can be overcome with a variety of strategies, there's enough to keep things fresh for a while. Thanks to the new Mega Buster, bosses are no longer "off-limits" until you have the right special weapon to use against them; while several stages and bosses are still difficult without the right equipment, Mega Man's increased default damage output helps level the playing field and makes sequence-breaking less daunting for the average player...but it doesn't take away the challenge of tackling bosses with uncharged shots only, if you enjoyed doing that in MM1-3. +1 Polish: Sprite flicker has been nearly abolished by this point, and you can finally bring up the menu screen at any point during regular gameplay (except while Flash Stopper is active, which kinda makes sense). The menu screen is better than ever, too: everything fits on a single page, and weapon names are written out instead of abbreviated to one or two letters. In the few places where you're forced to use a special weapon to proceed, there are plenty of small, respawning enemies around to facilitate grinding for weapon energy if necessary. A few minor quirks still exist—most of them are fun little oddities (such as Rush standing on thin air if one of the rainbow platforms in Ring Man's stage disappears underneath him), but I've had Rain Flush fail to active a couple of times after firing off the "rain pod" (or whatever that thing is called); and, as in the previous games, Mega Man will still fall off a ladder if you're not holding UP when you unpause. +1 Extras/Easter Eggs: While there's nothing as iconic as the pause/resume glitch or the second controller trick, some of the aforementioned harmless little oddities can be a preposterous delight—triggering Flash Stopper at the right moments can keep a whole room lit up for several seconds, and using Wire Adapter in conjunction with moving stage objects (specifically in Dust Man's stage and Cossack 3) can be downright hilarious. +1 Novelty: The plot twist is a little familiar if you know the story of MM3, and a few of the weapons, enemies, rooms, and challenges are variations on things that have already appeared in the series. However, there's enough that's new and different about them to suggest that any familiarity is a deliberate design choice, with the intent of evoking nostalgia and improving or expanding on the past, rather than a lack of creativity. The addition of a new villain with his own backstory (which is sufficiently explained in the game, but more interesting if you've read the manual), two castles instead of one, Flip-Top/Eddie as a support character, the powerful new Mega Buster, the optional Adapters, and the revamped menu screen all serve as worthwhile expansions and additions to the Mega Man universe. +1 Story: Robots are destroying the city, Dr. Light has been kidnapped, and...Proto Man is to blame?! The premise plays off the good guy / bad guy mystique Proto Man enjoyed in MM3, and the inevitable plot twist allows for the slightest bit of character development. It might've been nice for Dr. Light's absence to play a bigger part in the game—the instruction manual has Dr. Cossack assisting Mega Man, and that could've been a neat cutscene—but as it is, the story is about on par with the last game's, minus the added bonus of an origin story. +2 Graphics: The developers keep finding new ways to sneak more detail into the backgrounds and character designs; not only does the game look pretty, but if you look back at the stages and enemies of the previous games, it becomes quickly apparent just how far the series has come. Perhaps the biggest step forward with this installment is the relentless diversity of the level environments—solid-color backgrounds are at an all-time low, and most stages are divided into a number of visually distinct sections. 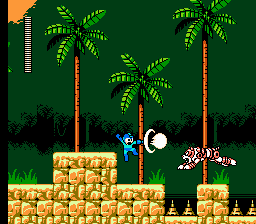 Napalm Man's stage, for example, starts you off in the jungle and brings you through a dark cave, an open area full of waterfalls, a different section of jungle, and a military base filled with tanks. Blandly repeating tiles in the foreground and background are kept to a minimum; even when there's not much variety in the scenery, random holes in the walls and intentionally mismatched blocks drive away the monotony. +2 Music: Audio quality is back to the level of polish heard in MM3, and the tunes are just as peppy, beat-driven, and harmonious as ever. The music also fits very well with the look and feel of each stage, creating a consistently cohesive atmosphere throughout the entire game—Wave Man's music bounces like a jet ski on the water; Star Man's instrument set is appropriately spacey and science-fictiony; Gyro Man's theme is airy and breezy; and so on. +2 Sound Effects: The charging Mega Buster sound occasionally gets silenced altogether by other sound effects, making it less obtrusive in this installment. So, there's plenty of room in your ears for the stuttering putter of Power Stone, the background noise of the train in Charge Man's stage, and the "wiggedy-wigga-wig" of reversing gravity in Gravity Man's stage. Once more, the sound effects are distinctive and fun, and in some cases work with the music and graphics to build even more of an atmosphere. +2 Control: They got it perfect last game, and they didn't do anything to mess with it. Mega Man can run, jump, slide, charge, and fire with ease and precision. +1 Bosses: An anthropomorphic train, a boss who flips gravity, a stone robot that crumbles into a pile when he lands...there's a lot of creativity in the bosses, and their special qualities make for a very different fight from one boss to the next. Interestingly, most of their weaknesses make a surprising amount of sense—even when it's not a familiar or obvious matter of "bomb (Napalm Man) blows up rock (Stone Man)," bosses such as Crystal Man and Star Man are weak to weapons whose attack patterns or characteristics are well suited to foiling their abilities. Charge Man is a jerk, though, and the Dark Man robots are a bit of a letdown—they're really just simplified Robot Masters instead of the complex, massive fortress bosses we've come to expect. Dark Man 3 ("proto-Vile," as I tend to think of him) is a worthy challenge, and Dark Man 4 is decent enough (albeit something of a Skull Man rehash), but the other two make better minibosses than bosses. At least the Wily bosses live up to their potential—Big Pets and Circring Q9 would be right at home alongside the fortress bosses of MM4, and Wily's various machines set a frantic pace with their clever twists on the familiar. +1 Special Weapons: Some unusual attack patterns and bizarre redundancies might make the weapons in this game seem fairly useless at first, but with a little practice and experimentation, they can be rewarding. Star Crash (while perhaps not as visually appealing) has all the defensive capabilities of Skull Barrier, plus the ability to throw the shield at your foes; Gravity Hold can rapidly remove nearly any enemy from the screen (at the expense of not getting any power-ups for it); Gyro Attack packs a punch and acts like a manually guided Magnet Missile; Crystal Eye also packs a wallop and breaks into bouncy little bits when colliding with a wall; Napalm Bomb deals big damage against some big enemies and works well on foes directly below you; Power Stone's quirky outward spiral is perfect for when you're penned in on all sides; Charge Kick grants you temporary invulnerability and lets you rip through enemies on the ground; Water Wave is a faster, taller, shot-absorbing Bubble Lead; and Beat is a homing missile to be reckoned with. There's no reason why we need three different weapons that are only useful against enemies on the ground, and it's unfortunate that another three weapons are only helpful if you've got extremely precise aim (or are very lucky, or are firing at point-blank range). Overall, there's enough here to get you through any situation, but most of these weapons aren't terribly fun or helpful until you've mastered them—at which point you'll wonder why you ever complained about them in the first place. +1 Items/Upgrades/Support Utilities: To be honest, the selection is a little sad compared with the last two or three games, but it's not so bad on its own. Rush Marine is missing from the lineup, but Rush Jet and a revamped Rush Coil are present...though Rush Coil's hopping springboard action is a little awkward, and none of the levels ever make use of its increased height control, so...it's just different, for no compelling reason other than being different. Super Arrow is something of an enigma—it's a weapon, but not one that's likely to be better than any other weapon in most cases; it's a fast-moving platform that sticks to walls (which can be fun), but there are scant few places where it's necessary or even preferable to use Super Arrow over Rush Coil or Rush Jet; zooming across a pit of spikes at high speed with no ability to change height or direction seems to be something of a liability, especially when what you're standing on is also a weapon that could very well smack into an enemy along the way and explode. In the hands of an expert, Super Arrow can be used like MM1's Magnet Beam; for everybody else, it's just kinda weird. M-Tanks are a welcome addition, and collecting the MEGA MAN V letters to build Beat makes for a good scavenger hunt. 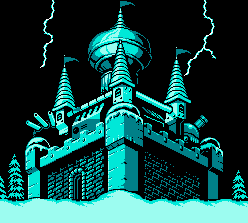 +1 Ending: Dr. Light is rescued, Dr. Wily gets away, Proto Man reminds us of his passageway-opening role as Break Man in MM3, and Wily's castle collapses. That's enough action and plot resolution to adequately bring this game to a close, but the ending is particularly short—once again, it feels like there's some wasted potential to do...something. At least the music makes up for it; MM5's dynamic ending theme is one of my absolute favorites in the entire franchise, and the delightfully goofy "mad scientist running away" tune that precedes it is amusing. +0 Replay Value: Like MM2, a few stages are particularly difficult without the right equipment, but thanks to the newly increased blast radius of your charge shots, it's easier to get by without special weapons. Due to the unusual nature of some of the weapons, it's often just as effective to use the Mega Buster against the bosses anyhow, so almost any boss order you choose should be feasible with a reasonable amount of practice. The act of collecting the MEGA MAN V letters doesn't add much to the replay value—every letter except the one in Stone Man's stage is in plain sight, and a single tricky jump is all it requires to acquire most of them. Beat, on the other hand, offers some new strategies for conquering the castle stages; otherwise, that's about it for replay value, as there are no other optional upgrades, and no branching paths (aside from the two secret rooms in Stone Man's stage, which I would've loved to have seen more of). +2 Polish: There are really no technical issues to speak of; MM5 gets everything right. Mega Man no longer falls off ladders when you unpause, sprite flicker is a thing of the past, and all the technical improvements from the last four games remain in place. I've found a couple of glitches, but they're either harmless fun, or so difficult to trigger that you'll probably never find them unless you're actively looking for them. My one complaint—and it's a minor one—is that the frequency of 1-Ups seems to be a bit high in this game...it's all too easy to max out on extra lives. +0 Extras/Easter Eggs: Beat is technically an extra, but aside from the bizarre and exceedingly difficult-to-pull-off glitch in Wave Man's stage where you can use Super Arrow to completely mess up the jet ski section, there's really not much you won't find during normal gameplay. There is a trick where you can use an M-Tank when you're at full health and weapon energy to turn all enemies on the screen into 1-Ups, but given the preponderance of extra lives already present in this game, this is mostly just an interesting waste of an M-Tank. +0 Novelty: The big plot twist is nothing new, and the special weapons and support utilities are, in large part, slight variations on things you've already seen. Helping to balance this out are the scavenger hunt and a variety of new enemies and challenges in the Robot Master stages (the castle stages, as mentioned, generally aren't as novel). MM5's focus seems to be more on refining the "Mega Man formula" and less on offering a radically new experience—which isn't necessarily bad, but doesn't win it any points in this category. -1 Story: International robot master tournament: cool. A malevolent force revealing itself to have been manipulating Dr. Wily all along: cool. The fact that said malevolent force is obviously Dr. Wily wearing sunglasses: not very cool. +2 Graphics: MM6 somehow manages to pack just a little more detail into the character designs, and the cutscene art is about as pretty as you can get on the NES. The backgrounds feature an interesting mix of styles—there are large sections of solid black backgrounds, characteristic of the early games; there are areas with detailed-yet-repetitive backgrounds, characteristic of the middle games; and places with intricate and varied backgrounds, characteristic of MM5 especially. +1 Music: The musical standard established by the series so far is one of high-powered enthusiasm; MM6 retains some of the positive energy of its predecessors, but opts for a more serious and dramatic tone. The music is still good, and the sound is just as polished as in MM3 and MM5, but it doesn't mesh quite as well with the overall feel of the series—especially when the stakes don't seem to be any higher in this game than they've been in any other. +0 Sound Effects: The delightful "bonk" of a Curlinger enemy colliding with a wall is, sadly, about the only new sound effect worth noting. I've got no problem with the old sound effects, but too many of them are used and reused to the point where everything sounds fairly homogeneous—this is especially noticeable for projectiles, nearly all of which use the same sound as Mega Man's uncharged buster shots. +1 Control: For the most part, MM6 plays exactly the same as MM5. It's mildly annoying that START, not the A or B button, is the most effective way to skip the mini-cutscene that plays every time you equip a Rush utility. It's also baffling that the sliding mechanics, which have been perfect for two consecutive games, are suddenly a smidge sticky. +0 Stages: Plenty of good ideas here, but few of them live up to their full potential. The rising and falling submarine in Blizzard Man's stage is fun, for example, but the couple of wimpy turrets don't put up much of a fight, and there's only one or two moments where there's any real threat of hitting the spikes. The game flip-flops between anemic challenges (consisting most frequently of a few wimpy enemies, and maybe a pit) and crazy situations where the ground is covered in springs, spikes are hanging above you, enemies are leaping all over you, you're shooting at tiny targets that unfold into platforms, and you're suddenly bouncing uncontrollably over a pit of watery death with a bouncing turret in front of you and a chomping fish below you and a flying bug robot approaching from behind. The two balance out over the long run to create a game that's decently challenging, but the general feel of the game is one of "looks good enough on paper" more than "deliberately and carefully crafted." The glut of health power-ups doesn't help matters any; there's about a dozen E-Tanks you can collect in the robot master stages alone, and if you're good enough to have beaten any of the previous games the honest way, it's almost a guarantee you'll find yourself with a surplus at some point. +1 Bosses: Sporting designs that generally give a sense of their country of origin, and divided neatly into an elemental category (wind, fire, ice, earth) or a weapon category (spear, mace, tomahawk, and...uh...centaur), this bunch of bots seems like an entirely plausible lineup for contenders in an international robot tournament. They have a few unique moves—freezing time, turning invincible and barreling into you, sucking you in—but nothing totally wacky, except perhaps for Centaur Man's disappearing act. Still, each of the Robot Masters is creative enough to be worthy of entry into the Mega Man pantheon, and they all fight fair. The fortress bosses are decent, but there's a whole lot of "thing coming at you from the right side" that ends up dulling the excitement before too long. Rounder II and X Crusher liven up the roster with unique movement patterns (and with their interesting reactions to charged Power Adapter hits). Power Piston is fairly obnoxious, requiring you to frantically dodge random boulders while trying to aim a weapon (usually Silver Tomahawk) you've probably never needed to aim well. The Wily Machine feels underpowered (considering it's a huge thing stomping you with spikes! ), and the second form is disappointingly similar. Wily Capsule is more of the same, just a smaller target that moves by teleporting instead of stomping. All three forms of the final boss have the same weaknesses, which might make for an interesting exercise in weapon energy conservation if Wily weren't so easy to hit and so vulnerable to so many things. Disappointing, especially after that grand exclamation of "LET THE FINAL BATTLE BEGIN!" setting this up to be the biggest battle yet. Final boss notwithstanding, the fortress guardians are fun or at least acceptably challenging, but with as many E-Tanks as you're likely to have, practice and strategy are largely optional. +0 Special Weapons: Powerful, underpowered, versatile, and total energy hogs—these are the weapons of MM6. Wind Storm is essentially Bubble Lead with a touch of Gravity Hold, but not so strict about dropping straight down when reaching the edge of a ledge; Flame Blast is deceptively harmful for being a little tossable fireball, and while the resulting flame tower may not often hit anything, the ability to melt ice walls comes in handy a few times; Blizzard Attack requires a lot of experimentation to be at all useful, but it's the best way to dispatch those tricky Cyber Gabyoalls; Plant Barrier is unreliable as a defensive shield, but is a fine offense against certain enemies; Silver Tomahawk's attack pattern is unusual, but the damage output is significant; Yamato Spear is basically Needle Cannon without the autofire capability and near-bottomless energy supply (which is a sad weapon indeed), but it can pierce enemy shields; Knight Crush helpfully combines multidirectionality and...uh...boomeranginality; Centaur Flash instantaneously wipes out everything on the screen, leaving behind power-ups this time; and Beat is...actually severely underpowered compared with the last game, and almost totally unnecessary next to Centaur Flash, especially when he won't even try to attack the bosses. It's a mix of great weapons, and okay weapons outclassed or made redundant by the great weapons. The energy consumption of your arsenal as a whole is outrageous—considering most of these weapons use 1-2 bars of energy per shot, and can fire off 2-3 shots at a clip, you'll probably keep running out of ammo just as you're starting to have fun with the weapons...so maybe those redundancies aren't so bad after all. +2 Items/Upgrades/Support Utilities: Rush undergoes some anatomically questionable transformations to become a suit of armor for Mega Man, granting him the ability to fly or punch through enemies and cracked blocks. The Power Adaptor can also knock certain enemies, bosses, and objects backwards, adding an interesting (albeit underutilized) level of interactivity with the stages. The Jet Adaptor takes a little getting used to, and most of the time its potential is squandered on merely reaching a path or power-up that's just a little too high above you (another shortcoming of the level design), but there are a couple of places—Wily 1 in particular—where the Jet Adaptor really gets to shine as a tool for navigating through tricky areas. I'll talk about the BEAT parts under the Replay Value section, but the Energy Balancer that Proto Man bequeaths you in his otherwise pointless cameo is a great help, especially in a game where weapon energy is so precious. +1 Ending: Mega Man finally captures Dr. Wily and gets him thrown in prison, and there's this satisfying sense of closure (at least, for the NES series) until that sneaky "TO BE CONTINUED..." text shows up at the very end. I like the idea of the robot master montage—and the musical transitions are neat—but after all the time you've already spent fighting these bosses, seeing them bounce around their boss chambers for a third (or possibly fourth) time seems more like padding than a meaningful extension of the ending. +1 Replay Value: MM6 is big on alternate routes, and collecting the BEAT letters—while ultimately not the worthwhile endeavor that MM5's scavenger hunt is—involves finding your way into four alternate boss chambers as well. (Sadly, only the backgrounds are different—the bosses are exactly the same.) Between all the E-Tanks and the Super Mega Buster returning from MM5, most stages are fair game to play out of sequence; I suspect it's more the desire for unreachable power-ups and BEAT parts (requiring the Rush adaptors to acquire) that will drive most players to get locked into some sort of pattern on subsequent playthroughs. +1 Polish: For the most part, everything that MM5 does right is still in place here. Backsliding on the perfect polish of the power slide isn't a big deal, but it's bad form for established game mechanics to suddenly get worse for no apparent reason. The mini-cutscene when switching to a Rush utility is fun the first time, and it can be skipped, but it seems unnecessary to show it every single time—once per level would have sufficed. It's also unclear (without the instruction manual) what the Energy Balancer does—Proto Man doesn't give an explanation, the effect is a subtle one unless you're really paying attention on the menu screen, and there's no way to "use" it like you can use an M-Tank to see what happens. +0 Extras/Easter Eggs: The Energy Balancer is a good secret, but Beat almost isn't worth the effort. I suppose you could consider Rush Power Adaptor's knockback ability to be an extra, as it's never necessary in the game and only works against a handful of enemies and objects, but otherwise I can't think of anything. Unless you count the Super Mario Bros.-style warp pipe in the bottom-right corner of Mr. X's castle map. +0 Novelty: A recycled plot twist, scads of enemies that are slight variations on things you've already seen, largely recycled sound effects, and a somewhat familiar weapon lineup work against the game here. Fortunately, most of the bosses are unique, a final boss with three forms is unexpected, the Rush utilities put a fresh spin on the gameplay, the method of acquiring the BEAT parts is new (though, again, not as well developed as it could have been), and creative stage challenges (ranging from time bomb platforms to movement-inhibiting oil fields that enemies can SET ON FIRE) help to energize the gameplay.